The Modi government has reiterated its focus and commitment towards India’s agriculture sector in the Budget 2018 by announcing several measures for the farm sector including minimum support price. In the Budget speech, Arun Jaitley had raised the minimum support price (MSP) of all crops to at least 1.5 times that of the production cost. This means that the farmers would receive at least 50 percent more than the cost of their produce, in other words, one and a half times of the cost of their production. The farmers had been constantly complaining about their losses due to a drop in prices below the minimum support price (MSP). The MSP dropped despite a bumper foodgrain harvest in 2016-17. Now, that the MSP for all the crops has been raised — a step that is in line with the target to double farmer income by 2022 — the government may now have to focus on these set of challenges for implementation. The farmers have not been happy about the the method government uses to calculate cost of production. The government includes operational expenses (inputs costs and family labour), which excludes the expenses farmer incurs on rent on land, or capital, while calculating the cost of production. Therefore even at 1.5 times the cost of production, the MSP may not add much to a farmer’s income. The Commission for Agricultural Costs and Prices (CACP) has three different definitions of productions costs – A2 (actual paid out cost), A2+FL (actual paid out cost plus imputed value of family labour) and C2 (comprehensive cost including imputed rent and interest on owned land and capital). Experts believe that C2 is the best indicative of actual costs that farmers incur, however, as of noe the government takes A2+FL as a base for calculating MSP. To be able to reap benefits of MSP or any other government scheme, a farmer is required to be registered as a farmer under the existing laws. 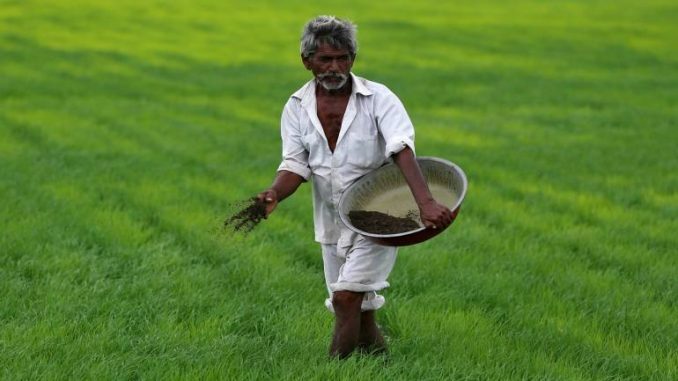 The government drafts specific definition of a farmer in the law, whereby, if an agricultural labourer or a cultivation abides by those definitions, they are registered with the government. For instance, the government defines a ‘Marginal Farmer’ as a farmer cultivating (as owner or tenant or share cropper) agricultural land up to 1 hectare (2.5 acres). A ‘Small Farmer’ means a farmer cultivating (as owner or tenant or share cropper) agricultural land of more than 1 hectare and up to 2 hectares (5 acres) and ‘Other Farmer’ means a farmer cultivating (as owner or tenant or share cropper) agricultural land of more than 2 hectares (more than 5 acres). The problem arises when farmers do not fit within these definitions, that is, if the farmers do not have their own agricultural land or if the size of the land is less than 1 hectare. A Scroll report had pointed out that in India close to 35 percent of the agricultural land is cultivated by tenant farmers who are either landless or are small and marginal farmers. Registering these farmers would be one of the major challenges for the government as it would require restructuring of these defenitions as well as policies. To keep a check at the market prices of vegetables and agricultural produce, the government needs a proper infrastructure connecting farmers and markets. While the government has started an initiative of electronic- National Agriculture Market (e-NAM) and set up over 470 Agricultural Produce Market Committees across the country to check prices, not all region is connected by this network yet. Setting up of these networks are important as In India, more than 86 percent of the farmers are small and marginal farmers, who are not always in a position to directly transact at APMCs and other wholesale markets. Also, a direct network of farmers and market would help in eliminating the middle men.